It’s Summer Time. It’s hot outside and family Hard has a swimming pool in the garden. No wonder that their child and the friends of the neighbourhood come to swim. Find out their names, the number of the house they live in and their favourite ice-cream. The present printable, downloadable handout is recommended for high school students at Pre-intermediate (A2), Intermediate (B1) and Upper-intermediate (B2) level. It can be used for honing your class' Reading and Writing skills. 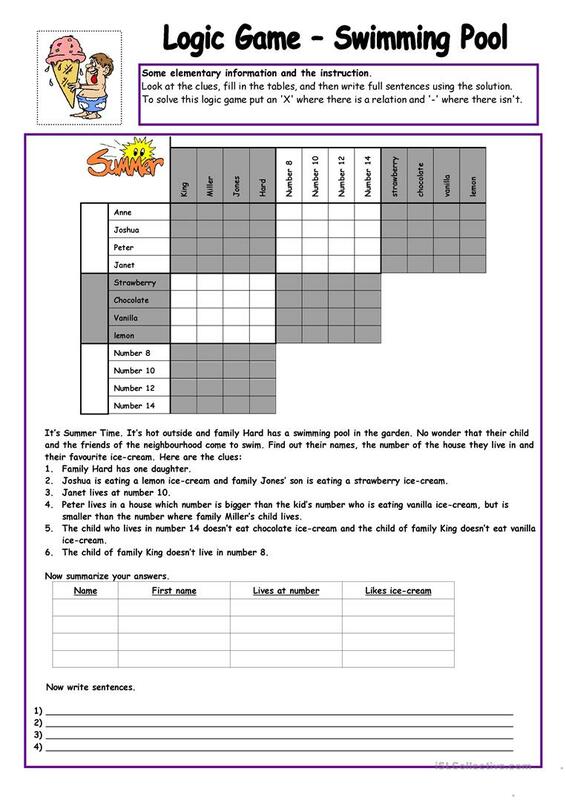 It centers around the theme of Brainteasers.